The box John Snyder’s mother-in-law brought to his office in Worland, Wyoming had been sitting at her house for decades. He opened the old carboard top and rifled through farm records dating to 1980-81. And there, amid the stacks of paper, he found a report of the sugarbeet farm’s net income that year. He read it closely and did the math. Snyder, who grew up on a farm but didn’t set out to be a farmer, is struggling with prices that haven’t changed much since the ‘80s while costs for fuel, seed, fertilizer and labor have skyrocketed. 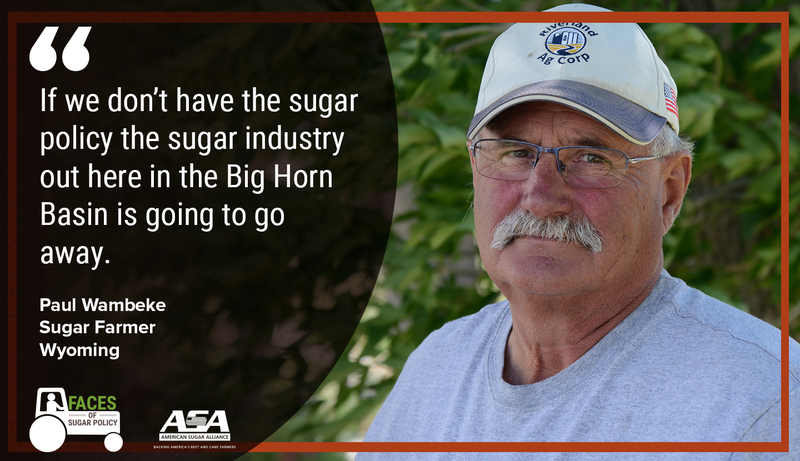 His story is common among sugarbeet farmers across Wyoming and Montana. Mexico’s illegal dumping of highly subsidized sugar in 2012 and 13 hit this region hard. Beet growers here are raising the first crop since then that has the hope of a return to profitability. Attacks by farm policy opponents during the Farm Bill debate in Washington this summer did little to ease their fears. These anti-farm lobbyists looked to weaken America’s no-cost sugar policy and flood the market with more subsidized foreign sugar. Luckily, those attacks were rebuffed and both the House and Senate left the sugar policy intact in the bills they passed. 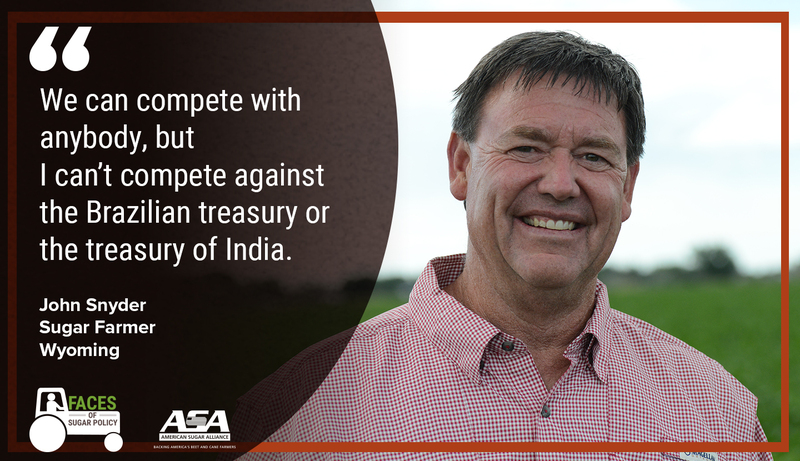 Snyder is one of four farmers the American Sugar Alliance interviewed in Montana and Wyoming as part of a national series. North of Snyder’s place, Paul Wambeke sits at the kitchen counter with wife Tory and looks at photos of his family – and his late father who farmed into his 90s – as he discusses the importance of sugarbeets to the Big Horn Basin. On the other side of the mountains in Montana, farmer Shane Strecker has also struggled with low prices and high costs. For Strecker, whose family history in farming extends back to the Ukraine, the sugar policy in the Farm Bill is make-or-break. “If we don’t have a strong sugar policy, we’re out of business,” he says. 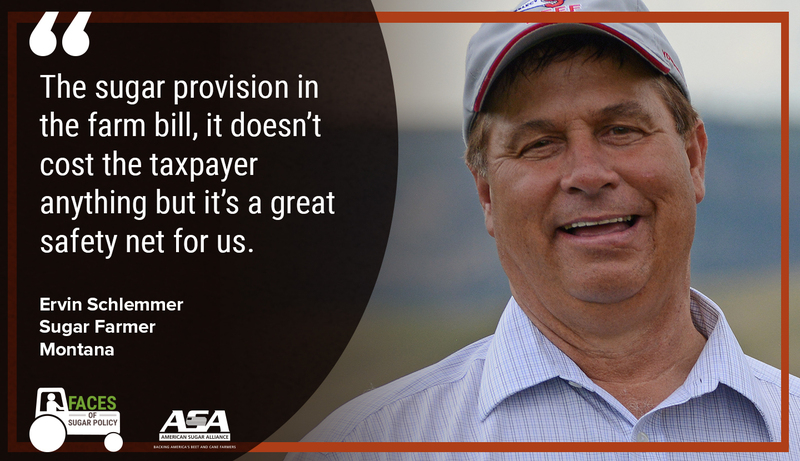 Ervin Schlemmer, another Montana grower with deep roots in farming and sugarbeets, agrees. He still loves farming and farms today with his wife Julie and son, Greg. He hopes his grandchildren will one day take over the farm. “We want this legacy to continue on,” he says. 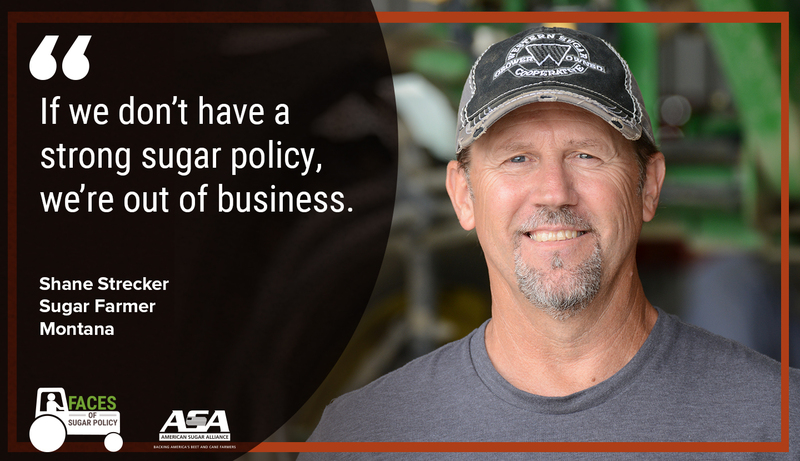 Watch their stories, and the stories of sugar farmers across America, at facesofsugarpolicy.org.